BLOKES running businesses earn one-third more than female bosses in top jobs, and achieving pay parity will take a lifetime. 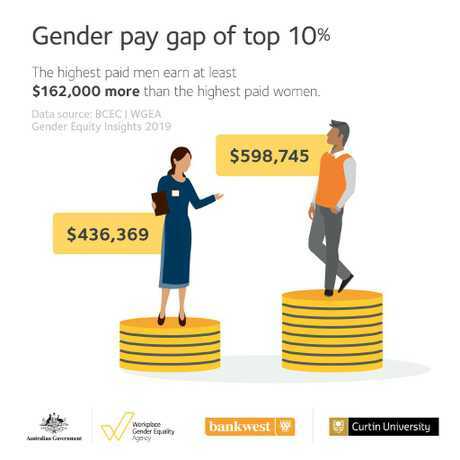 New research reveals that the highest-paid men in full-time work in Australia earn at least $162,000 more than the highest-paid women. Men are paid more than women at every level of management, pocketing $20,589 a year extra even for the lowest-paid management jobs. 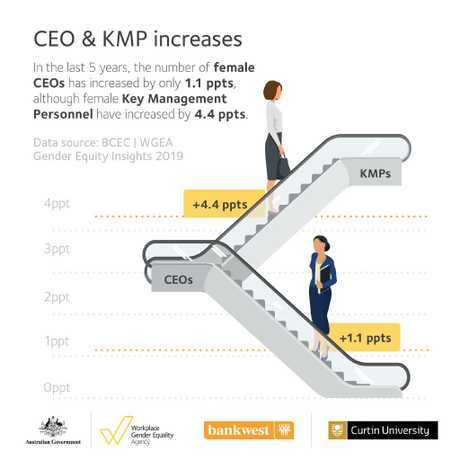 The new study, released today by the federal government's Workplace Gender Equality Agency and the Bankwest Curtin Economics Centre, shows that women are being promoted into management at a faster rate than men, yet still earn less money. The 10 per cent of highest-paid male managers earn an average of $598,745, compared to $436,369 for the top 10 per cent females. The lowest-paid male managers earn $82,203, on average, compared to $61,614 for women. 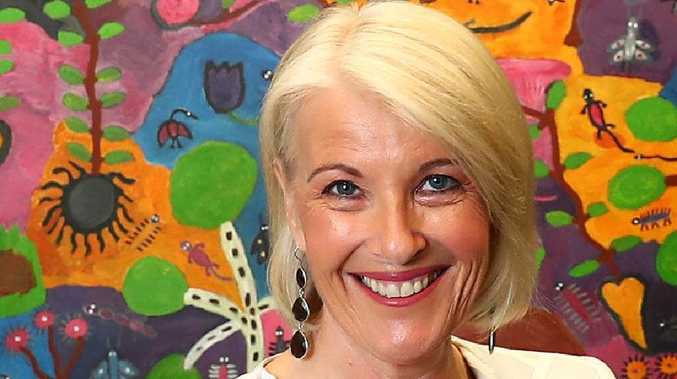 Agency director Libby Lyons said children starting primary school this year would enter a workforce with gender balance at most management levels. "Yet, they will have to live to be almost 90 to see women reach equality at the CEO level,'' she said. Ms Lyons said paid parental leave and flexible work arrangements gave women more choices at work. The report's author, Associate Professor Rebecca Cassells, said women in top-tier management jobs were earning less than men. "Simply breaking through the glass ceiling doesn't provide women with the same wage opportunities,'' she said. The report predicts that female CEOs will not be paid the same as male CEOs for another 80 years. Women will have to wait until 2042 to be paid the same as men in all management roles. 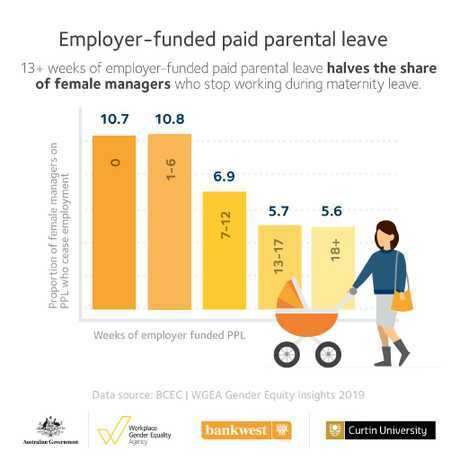 Bankwest Curtin Economics Centre director Professor Alan Duncan said flexible work and employer-funded paid parental leave schemes were keeping more women in the workforce. 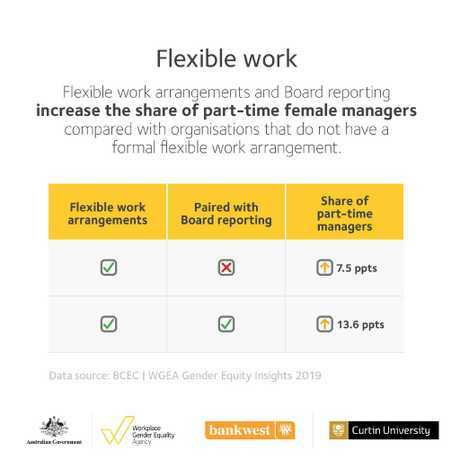 He said flexible work policies doubled the share of women in part-time management roles. And women managers were half as likely to quit work if their employer offered at least 13 weeks of paid parental leave. 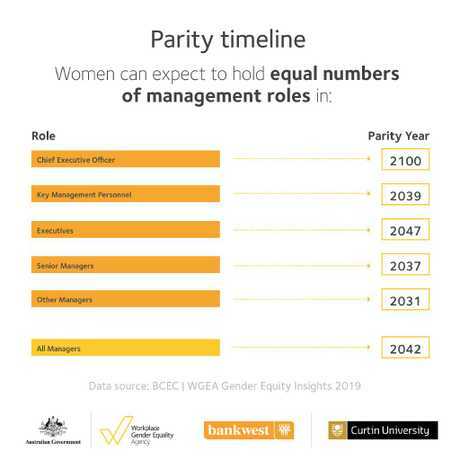 The study shows that women hold 40 per cent of full-time jobs, 37 per cent of management roles and 16 per cent of chief executive officer jobs across Australia. But a Sunday Mail investigation last year revealed Brisbane to be the "boys' club'' capital of Australia, with just five female bosses running public companies based in Queensland.